Metate Hill Vineyards has its beginnings in the beautiful vineyards of La Rioja, Spain, where the Stange family was introduced to the many Spanish varietals and the wine making methods unique to each of the twenty-plus regions they visited. Armed with an arsenal of knowledge from their trip, the Stange family wove the Spanish traditions into their own process of making and blending wines — including Tempranillo, Albarino, Graciano, Garnacha, Monastrell and Carinena — from grapes grown on their own nine-acre, organically cultivated vineyard. 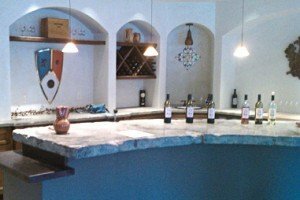 Located on Murphys’ historic Main Street, their tasting room offers their impeccably crafted wines in a traditional, Spanish-inspired setting, while Metate Lounge — located just upstairs — offers a unique music and event venue, featuring live music and tapas nearly every weekend. Check out their events calendar for upcoming events!